Reliable Gold address, phone, website, hours of operation, and more. For 80 years and four generations, our family has upheld the tradition of offering lovely antique and estate jewelry to an appreciative clientele. Beginning our business back in 1934 as Reliable Gold Buyers in downtown Providence, we parlayed that expertise to become Reliable Gold Ltd., having decided that some of the pieces were far too beautiful to melt down. In 1958, we moved to our present storefront on the historic East Side of Providence in Wayland Square near Brown University and Rhode Island School of Design (RISD). We have since added new, contemporary designs to our collection of estate and antique jewelry, broadening not only our horizons, but also our base of savvy customers. We strive to have something unique and wonderful for a wide range of styles and budgets, but we are always driven by the same high standards of taste, quality and value. 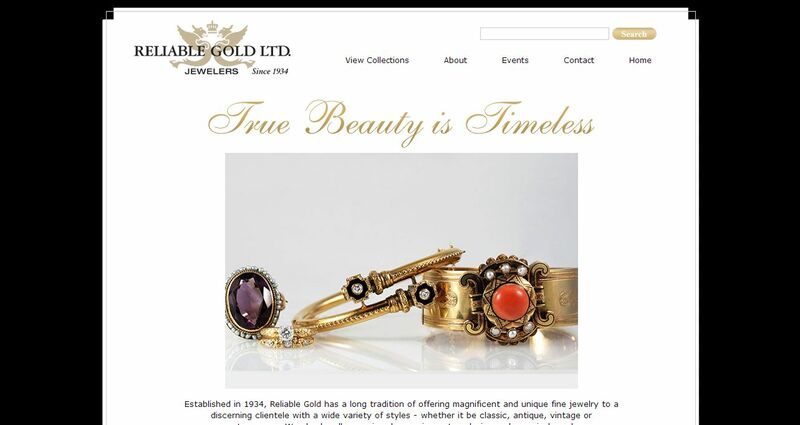 Personalized service and knowledgeable sales staff are also prominent hallmarks of the Reliable Gold experience.